Grilling season is just around the corner! 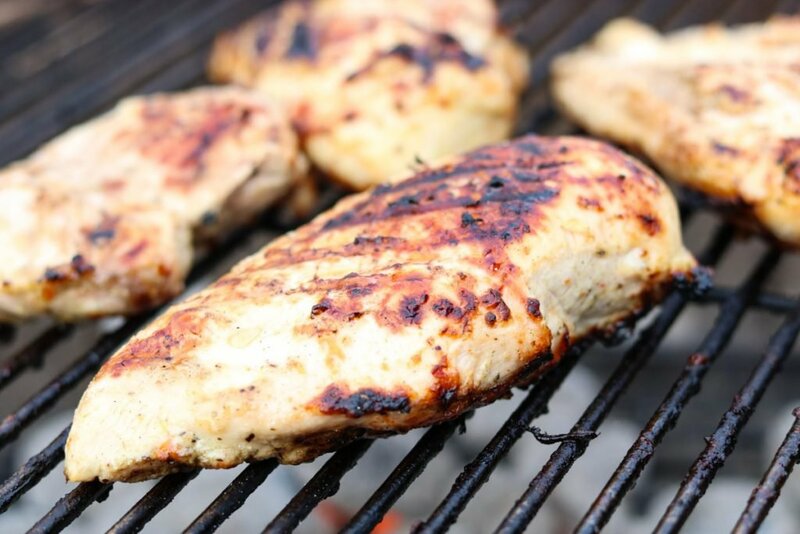 Now is the time that you need to have a great Chicken Marinade in your recipe box. This recipe for Easy Chicken Marinade only takes a few minutes to throw together. 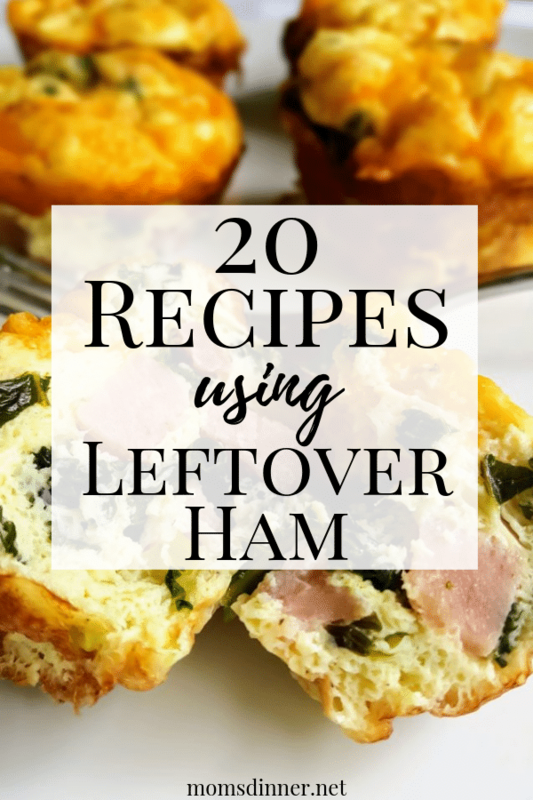 It is full of easy to find ingredients and is flavored by herbs and spices, a lot of lemon, and garlic. This is no wimpy marinade! It will seep into the center of your chicken and flavor it all the way thru, end to end, not just the first couple bites. 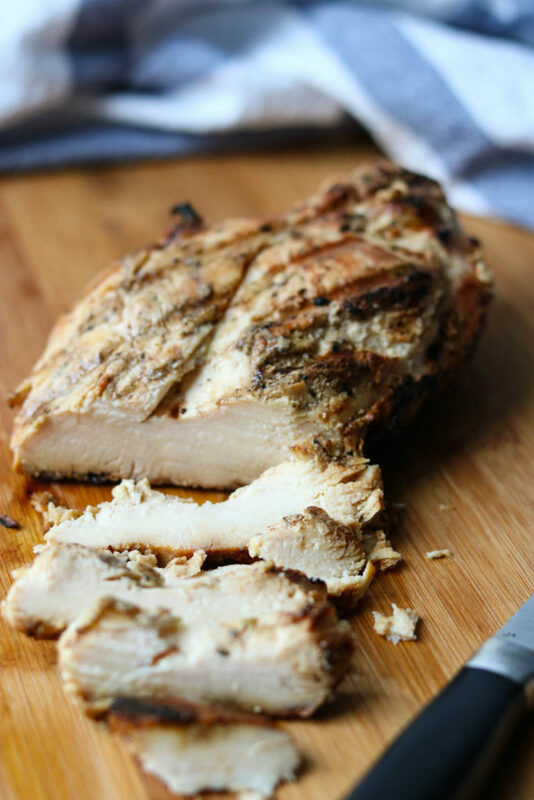 Make this your new go-to Chicken Marinade recipe for grilling season. Before you get started you will want to make sure you have 24 hours to let your chicken marinate in the fridge. This is the ideal amount of time to get the most flavor into your chicken. In a glass baking dish, either 9×9 or 9×13, combine the olive oil, Italian Dressing Seasoning packet and all the juice of 2 lemons. Crush the garlic cloves with the flat side of a knife, do not chop or mince the garlic because the small pieces will burn on the grill and become bitter. By crushing the garlic you will release all the garlic flavor in the marinade and still be able to remove it before grilling. Add the crushed garlic cloves, squeezed lemon halves, and chicken into the marinade. Stir it around so that the marinade coats the chicken completely on all sides. Cover the dish with foil or plastic wrap and refrigerate for 24-48 hours. I like to flip the chicken in the pan at least one time while it is marinating to ensure the chicken is completely marinated thru. Before grilling remove the garlic cloves and any lemon seeds that have stuck to the chicken. 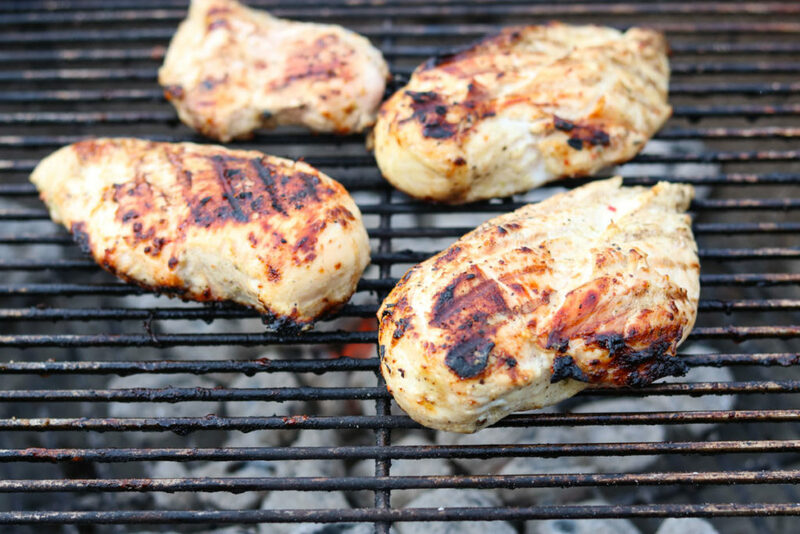 Whether you are using charcoal or gas, grilling is the tastiest way to prepare chicken. If you are using a charcoal grill, try using a charcoal chimney like this one from Amazon. It helps you prepare your charcoal without using any lighter fluid or chemicals. You simply fill the top of the chimney with charcoal, light some paper in the bottom portion, and wait for the coals on the top to turn grey/white hot, about 15 minutes. Then you dump the charcoal out into your grill and you are ready to cook. Spread your charcoal into a flat thick layer across the bottom of the grill, giving you an even medium heat. Cook your chicken directly over the coals, using direct heat, with the lid off/open. I like to arrange my chicken so that all the ticker parts of the breasts are in the center of the grill, where the coals are a little hotter. If you are cooking with gas, set your grill to medium heat, around 425°. I like to cook my chicken for 7 minutes on the first side, then flip to the other side, and grill for an additional 6 minutes. Make sure your chicken is cooked all the way thru at the thickest part. Using a meat thermometer test that the thickest part is 165°. When your chicken is cooked thru remove it from the grill and let it rest, uncovered, for 5 minutes before slicing or eating. This will redistribute all the juices into the chicken. Once you have grilled your marinated chicken the possibilities are endless. 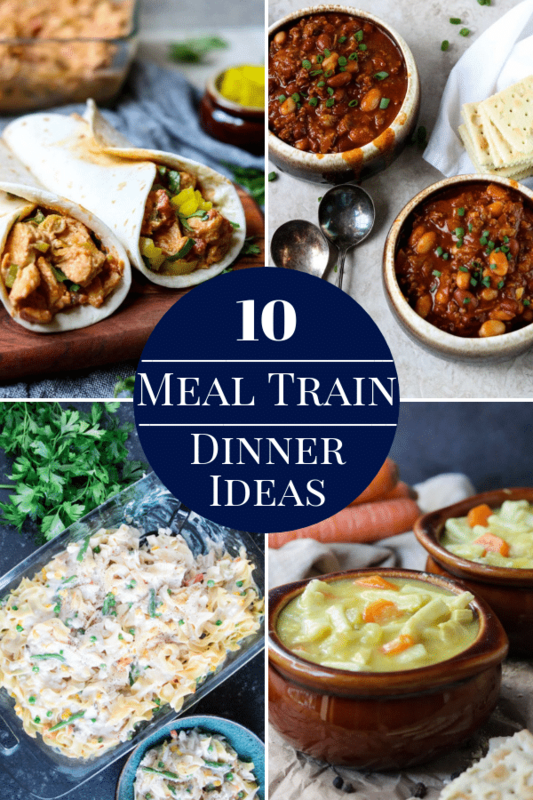 101 grilled chicken dinners, anyone?! This recipe for Grilled Chicken & Vegetables with a Horseradish Cream Sauce is a perfect match for this marinade recipe. I will never turn down a grilled chicken sandwich! Grab some brioche buns, add a grilled marinated chicken breast, lettuce, tomato, and some mayo or the Horseradish Sauce from above! Heaven! Slice the grilled marinated chicken and add to a green salad. This Chicken Bacon and Avocado Salad from Cafe Delites would be a great salad for this grilled chicken recipe. 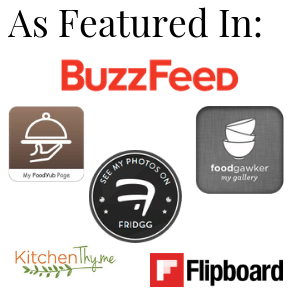 I absolutely love it when people tell me that they made my recipes! If you make Easy Chicken Marinade let me know by commenting below or dropping me a line. If you share a pic on social media tag me @momsdinnerinsta on Instagram or @momsdinner on Facebook. I hope you give this recipe for Easy Chicken Marinade a try in your kitchen. 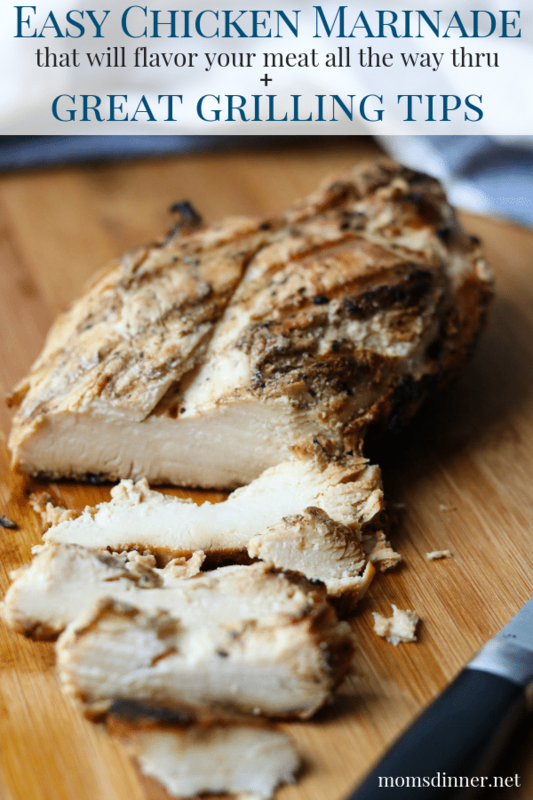 An easy recipe to marinate your chicken before grilling. 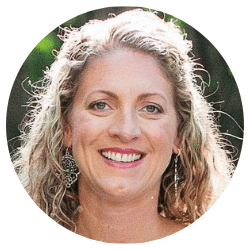 It comes together in minutes with easy to find, inexpensive ingredients. Smash the garlic cloves with the side of a large knife, do not mince or chop the garlic, you will want to be able to remove the garlic before grilling. Add the garlic, whole lemons and chicken to the olive oil mixture. Stir to coat the chicken with the marinade. Cover the pan and refrigerate for 24-48 hours, turning the chicken once, about half way thru the marinating time. 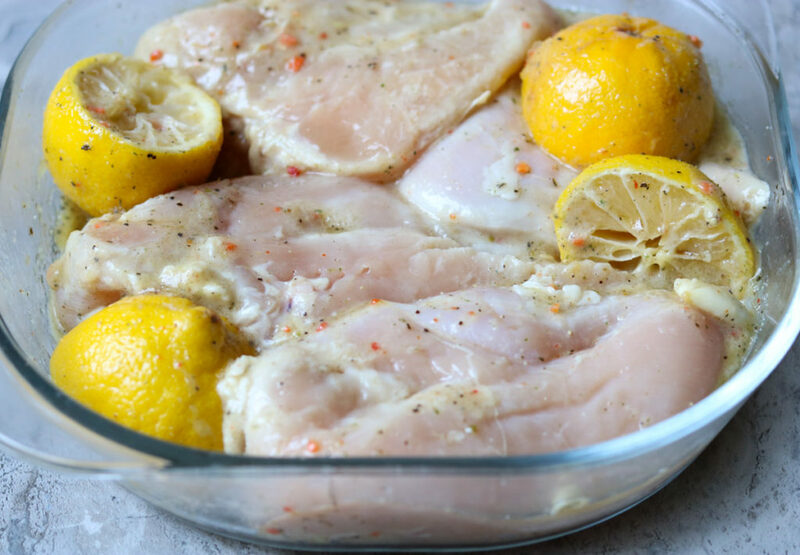 Remove the chicken from the marinade, making sure to remove the whole garlic cloves and any lemon seeds that have stuck to the chicken. Grill the chicken over medium direct heat for 7 minutes on the first side and 6 minutes on the second side. Using a meat thermometer check that the chickens internal temp, at the thickest part, is 165 degrees. Let the chicken rest, uncovered, for 5 minutes before cutting or eating. You could also marinate your chicken in a large gallon size ziploc bag for easy clean up. Can’t wait for the weather to get better to start grilling again! 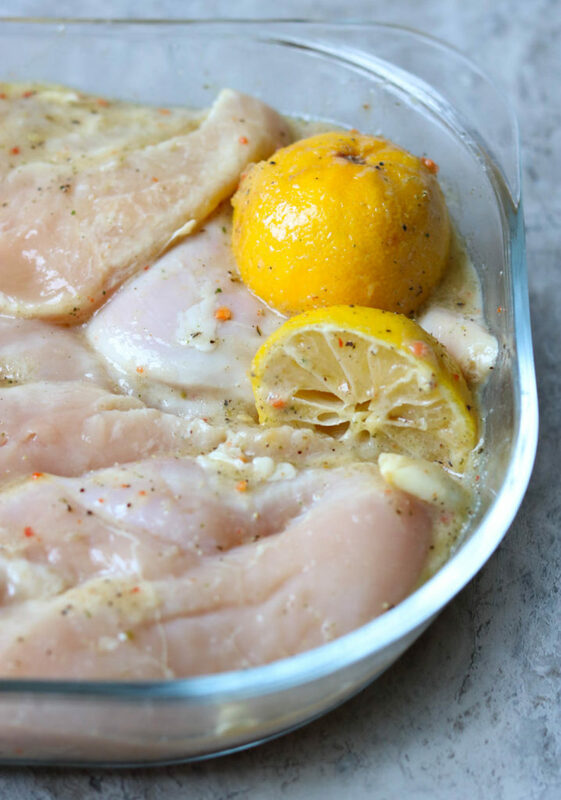 This chicken marinade looks perfect! It is so easy to throw together. 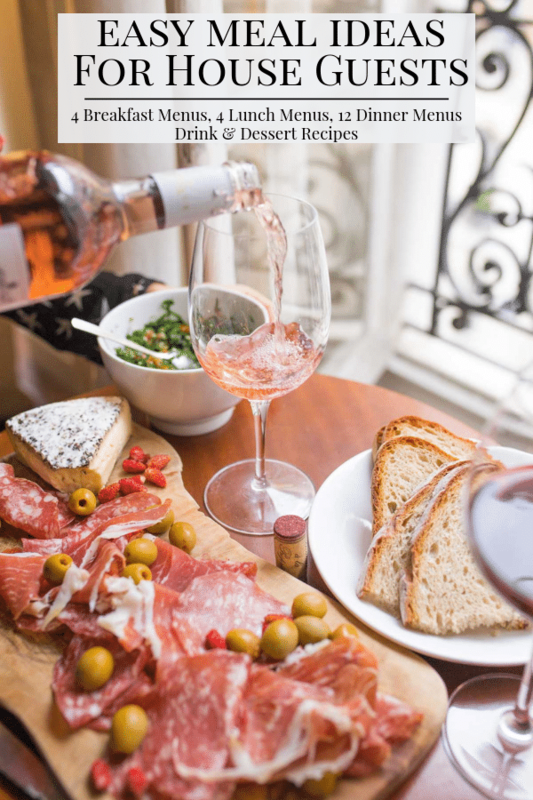 Great to put together Wednesday night or Thursday morning for Friday night grilling.. with drinks! 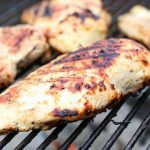 Great simple marinade and I love the grilling tips! Thank you! I love using my charcoal grill… my little neighbor girl calls it an old fashioned grill.. lol!! Pinned these tips for later! PERFECT for summer coming up!! 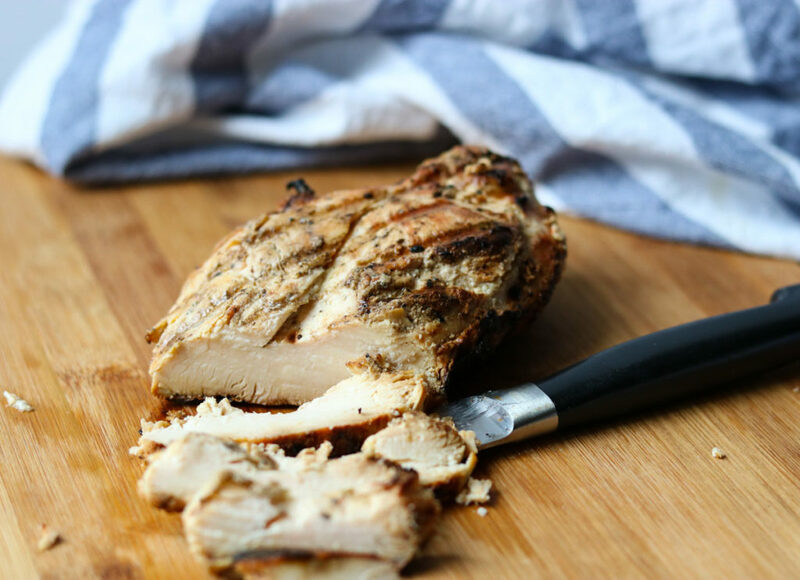 Always on the hunt for an easy and delicious chicken marinade! This one could not be easier and truly flavors your chicken all the way thru! This looks like a flavorful marinade. I think I will make a nice amount of chicken and save the leftovers for a salad the next day. It will marinate 2-4 chicken breasts really well. This chicken is PERFECT for salads.. cold or warm. Nothing better than marinated grilled chicken! You have me totally ready for more warm days so we can get grilling! And I love that you let your chicken marinade for at least 24 hours. So much flavor! It is soooo much better if you let it marinate for that amount of time! I am ready for warmer days too… really, they should be here already.